Most of the time Squatch pays more attention to debates about the best adventure vacation spots than scientific findings. However, we’re coming out of the forest to take on the scientific community and share some skin care tips for men. For years, we’ve been comfortable saying we take awesome care of your biggest organ, but it seems that science is ready to debate that. Squatch isn’t ready to accept something called your interstitium quite yet. We still believe your biggest organ is your skin. Yes. Your skin. What did you think we were talking about. After all, everyone knows it’s not the size of your organ, it’s how you use what you have. Trusting your skin to harsh detergents or soap you’ve used for years, just out of habit, is a disservice to your skin. Using cleansers that dry out your skin causes all sorts of problems. 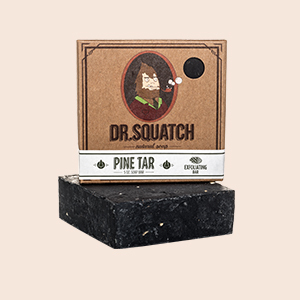 One of the greatest properties of our Dr. Squatch soap is that we don’t strip the glycerin out of the bars during the process. Glycerin works to bring your body’s natural moisture to the surface of your skin and to slow the evaporation of that moisture. To put it simply, glycerin helps your skin look and feel healthy and smooth. 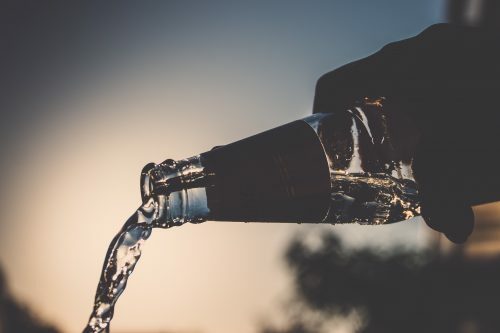 Make sure the glycerin has a little something to work with by drinking – and we mean water, not that new IPA your buddy insisted you try last night. When your body has enough water on the inside, all of your organs work better, and that includes your skin. Our soap, Pine Tar in particular, helps soothe a variety of skin issues, from eczema to rosacea. The natural properties of Pine Tar help correct those skin issues, and the antiseptic properties of many of the essential oils we use help prevent additional skin problems from occurring. When you’re using a detergent on your skin, the long list of ingredients can interact negatively with your body chemistry. Your eczema might be irritated by one of the chemical fragrance ingredients, while the lack of glycerin causes dryness and a rash. Attempting to narrow down the culprit is impossible when you’re not even sure what some of the ingredients are. Our soap contains only a handful of ingredients. While we don’t claim to be hypoallergenic – after all, people can be allergic to natural ingredients, too – it’s usually pretty simple to tell which ingredients aren’t working for you through process of elimination. We know it’s tempting to hit the store aisle and snag the most bars of soap for the least amount of money. After all, we’ve been known to pull up to the late night drive thru and eat cheap tacos like it was our job. We pay for it in the morning, though, and harsh soap works in a similar way. When you use soap that dries out your skin, you feel like you need to add some sort of body lotion. The lotion you add never absorbs all the way into your hands, so you wash your hands with more of that harsh soap. Then you need more lotion. It’s an endless cycle, and it’s one that adds time – and money – to your daily routine. Our cold-process soap goes a long way toward keeping your skin happy. Naturally moisturizing and scented only with essential oils and other naturally-sourced fragrance, our soap keeps your skin feeling, looking, and smelling great all day long. You won’t have to use additional skin products, leaving you with more time – and money – to enjoy the warmer weather we spy on the horizon.